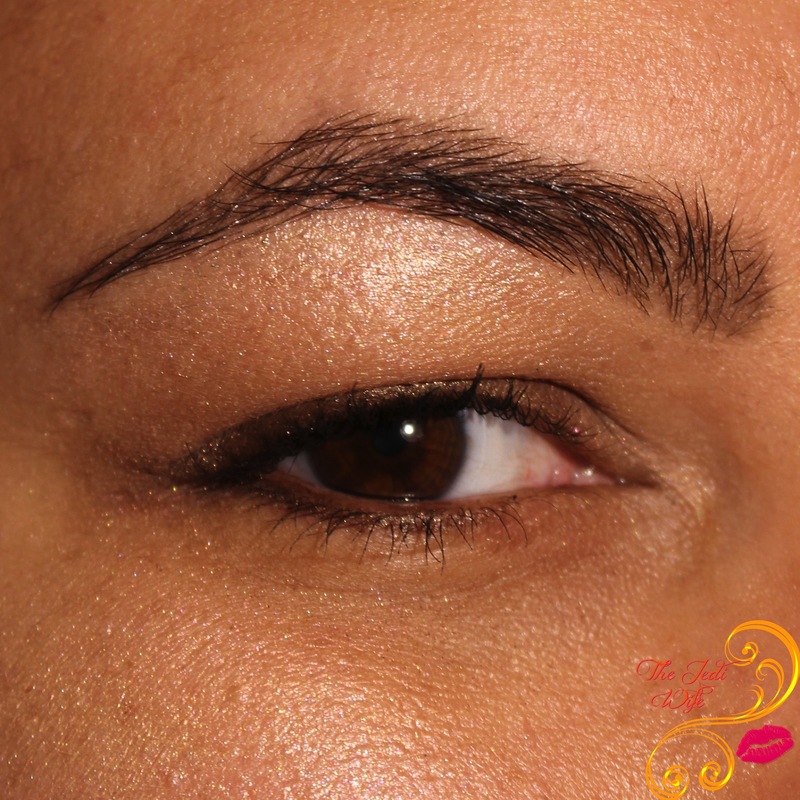 Get Your Eyebrows in Line with Full Brow this Holiday Season! TGIF, dear readers! It's definitely a busy time of year with holiday parties, and I am making sure my eyebrows are on point using the product lineup from Full Brow. This Australian-based company originally created these products for a well-known brow bar in Melbourne for easy-to-use but still high quality and lasting performance. 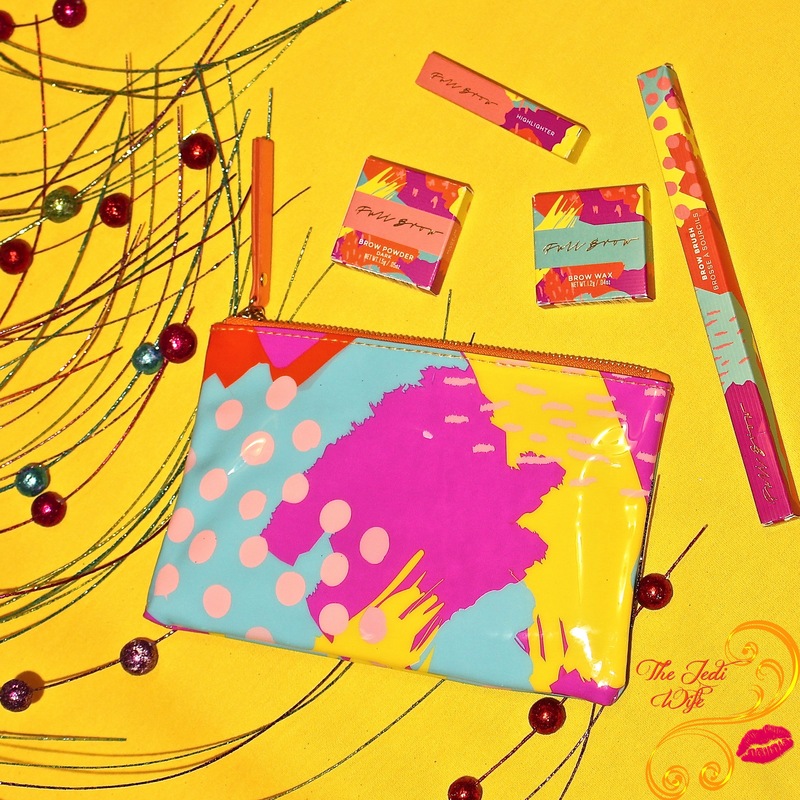 Full Brow had also set out to make their products fun, as can be seen with their vibrantly coloured packaging! 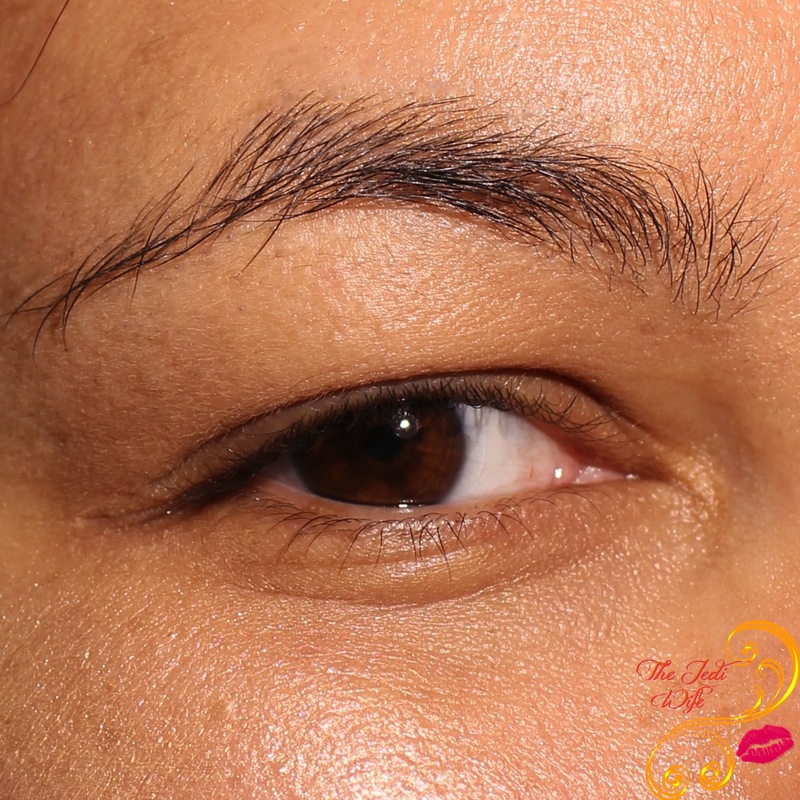 Eyebrows frame your eyes and are a key feature on your face, and there is nothing boring about that! 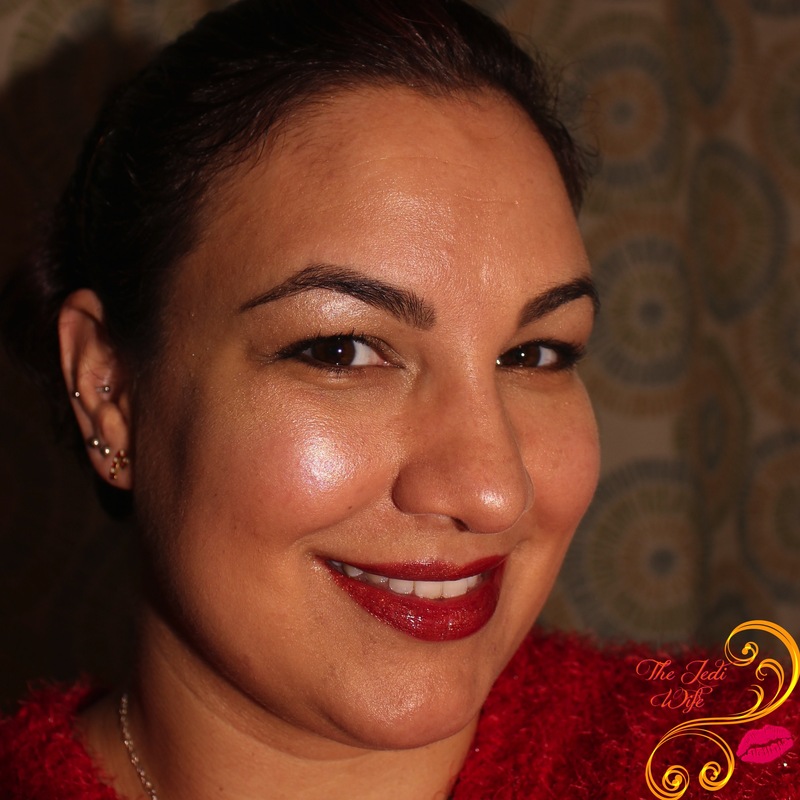 I had the pleasure of testing out a few of the products, and I wanted to share my results with you today. You're about to see my eyebrows in their natural condition! Without any brushing and taming, they can be a little out of control. I must love you guys a lot for sharing the scary truth about my eyebrows! They have a decent thickness already, but their are a few bare spots. I also have a few hairs that fall over my browbone gracelessly that need to be brushed back and secured. Here are my results using the Full Brow product lineup! Ok ok, there is a little eyeshadow and mascara here too, but let's focus on the eyebrow. 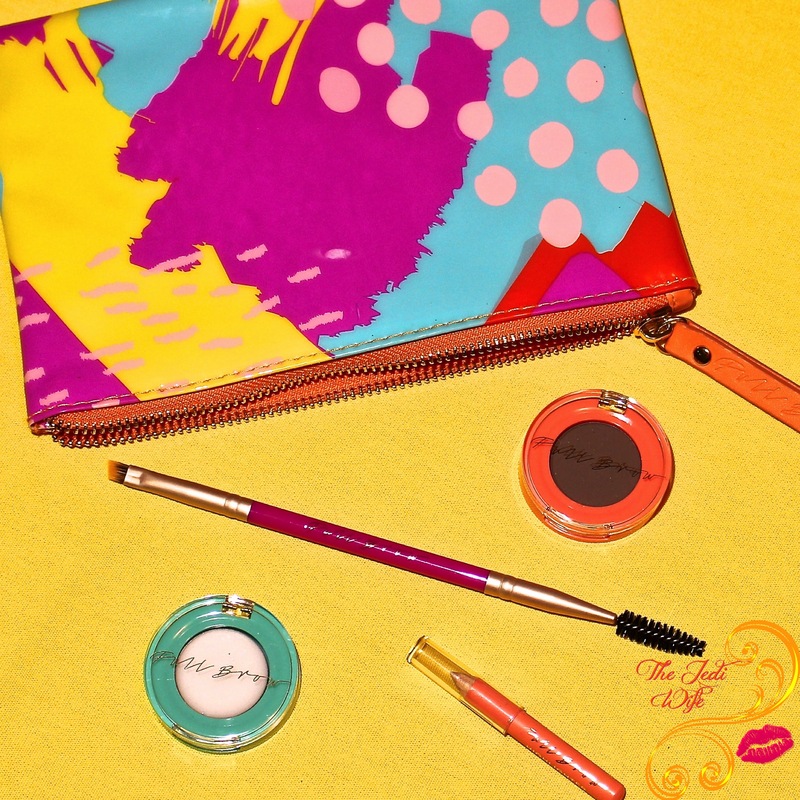 I first used the spoolie end on the Brow Brush to brush my eyebrow hairs up and into place. I then flipped the brush over and used the angled end with the Brow Powder (I used the shade "Dark") to plot my end points and my arch position. I then used more Brow Powder and the brush to play connect the dots to outline my eyebrows before filling them in with more powder. I then flipped the brush over again and ran the spoolie over my now-powdered eyebrows to make sure the powder with blended nicely for a softer, more-natural look. I then took the Brow Wax and gently brushed a light coating over my eyebrows to keep my eyebrows hair in place. I definitely prefer this method to cutting my longer hairs after a mishap where they ended up super short! I completed my eyebrow look by using the Brow Highlighter under my eyebrows. I ran the pencil on my browbone and gently tapped with my finger to blend it out for a softer look. Here is my final look! My eyebrows are ready for the day, and these products stayed in place all day long until I removed them just before going to bed! Now that's some fantastic lasting power! You can order the eyebrow products on the Full Brow website located here. The company is based in Australia, and shipping is free within Australia and $20 to the rest of the world. US customers can purchase from FreePeople.com for faster shipping. I really like the products I tested for today's blog post, and I think you will too! I didn't get to try out their eye cream or Brow Smudge, but I'm intrigued by the sound of them too! I love that these products are so easy to use, and I could have nice looking eyebrows with just a few really quick steps! Even when I don't have the time to do a full makeup look, I like having my eyebrows look tidy, especially if I have to leave the house. I recommend these for everyone! Have you tried any products from Full Brow? What are your favorites? Do you prefer powders or pencils for filling in your eyebrows? I'd love to hear from you! Daaaaayummmmm! Those brows are on fleek! :) I need so much eye brow help...I don't even know where to start. What a great difference. I'm always on the hunt for something to make my brows look better. This sounds perfect. Oh wow, your brows look perfect! <3 I need to try this brand. These products definitely work! Your brows look amazing! So natural looking. The before and after. What a difference! They look amazing! That really looks great! A good brow product can really make you look happy and healthy. I love the results on you! It's great to discover new brow products - glad to hear they ship worldwide. I love the results and for the price, this seems like a must-have!